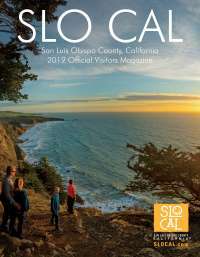 San Luis Obispo County (SLO CAL) is known for its incredible wine spanning the Arroyo Grande and Edna Valley to Paso Robles, a creative craft brewery scene featuring everything from sours and stouts to IPAs and barrel-aged brews, and now—in 2017—a hard cider revolution of epic proportions. From dry hopped offerings to fruit fermented flavors, this is not your average apple juice we’re talking about here. Thanks in large part to See Canyon’s prolific apple growing terroir and an adventurous epicurean spirit, cideries across the county are ripe for the picking. With crisp, cold bottles sneaking their way into farm-to-table dinners, rugged hiking packs, and beach bags galore, there’s a hard cider style to suit every sipper. Here’s your guide to bobbing for apples this in SLO CAL this spring. Bristols Ciderhouse brings you back to cider’s delicious British beginnings, thanks to founder/cidermaker Neil Collins, a native of Bristol, England. Dry, crisp and refreshing, these ciders made from unique heirloom apples are fabulous as a taster, pint, or growler to go. Kick back in the casual lounge area, where you’ll learn the history of UK cider while tasting through Brigstock, Mangelwurzel, Black Beard, and Green Fairy varieties, found exclusively on tap at this swinging Atascadero hangout. Tip: You’ll want to stop by on Thursdays, when a different curry is served up hot and paired alongside live music. From beautiful swing-top bottles to frosty crowlers (yes, that’s an aluminum can “growler,”) Tin City Cider — located in Paso’s hip Tin City enclave of wineries, Barrelhouse Brewing and a distillery — is all about creating an experience that feels fresh and new. Apples sourced from the Sierra Foothills are twisted into experimental artisanal hard ciders. Their “classic” cider is anything but—aged three months, dry hopped, and fermented with a combination of yeasts, including saison, white wine, champagne, and native cellar yeast. The list only gets more interesting from there. Tip: Don’t leave without trying the tasting room’s bold Sour Blonde (akin to a tart sour beer) or the rosy-hued Liliko’I, co-fermented with locally grown passion fruit sourced from Cambria’s Stepladder Ranch. Speaking of coastal cool, Cayucos’ Reef Points Cider is about as chill as it gets. Pack one of their light, bone dry bottles in your beach bag and be stoked knowing that you’re supporting small family owned orchards in Paso Robles. Move over, wine country! See Canyon, located just south of San Luis Obispo and north east of Avila Beach, is the perfect microclimate for growing bodacious apples. This spring, take Prefumo Canyon Drive over undulating green hills (stop for a selfie at the top most point, which looks out onto the Pacific Ocean), and taste your way through family owned and operated See Canyon Ranch and Gopher Glen Apple Farm. See Canyon Hard Cider is slightly off dry with a round and appealing finish that goes down ridiculously easy (look for bottles at local storefronts and at their farm stand). 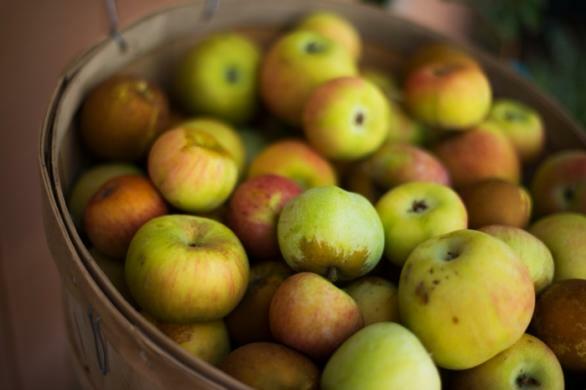 Gopher Glen, which has been growing more than 100 heirloom apple varieties since the 1970s, offers fresh apple cider seasonally, so call ahead to the farm stand and ask for their anticipated July release.